Oh happy day – a Supertuscan wine from the Castelnuovo Beradenga region of Chianti Classico that has been declassified to IGT status because it’s a blend of 62 Merlot, 23 Cab Sauvignon, 8 Cab Franc, 6 Sangiovese and 1% Petit Verdot. This wine is clear and bright, deep ruby with legs. The nose is clean and youthful with medium plus intensity and aromas of deep red and black fruit (plum, raspberry, cassis, blueberry and field berry), baking spice and Dutch black licorice. There’s a little excess alcohol that does vanish with some swirling. The palate is dry with medium plus acidity, high alcohol and some medium plus silky, ripe tannins with light grip. It has great intensity with flavours of more of the same red and black fruit (purple plums, raspberry, cassis, blackberry and blueberry), clove and nutmeg, more licorice, tar, black olives and soy sauce. This wine is WSET Very Good. The alcohol is slightly high and while it blows off, it is heavy initially. The fruit and aromas are well concentrated and balanced with the tannins that are drinking perfectly but can still last for at least 5-7 years; there is enough of each and when combined with the medium plus acidity this offers plenty of time for development. A nicely complex Bordeaux blend Supertuscan from one of the famed premier cru Chianti Classico region of Toscana. 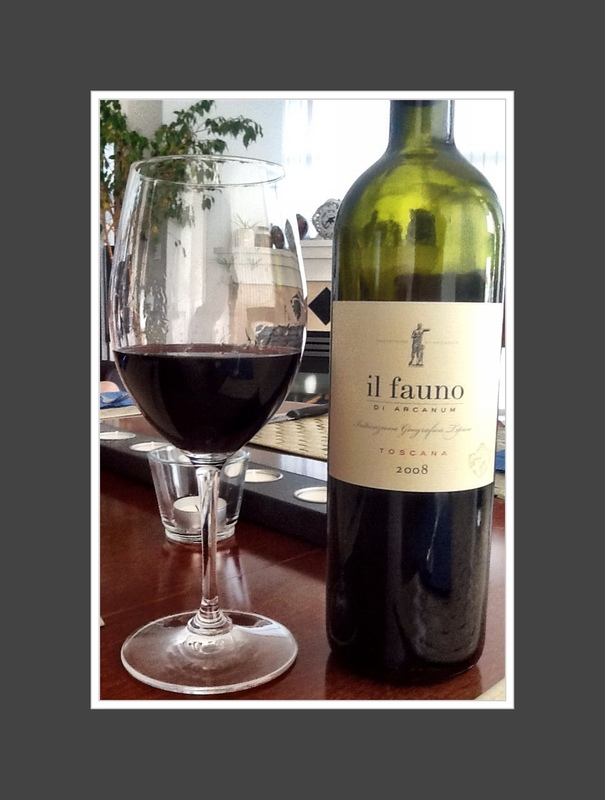 This entry was posted in Cabernet Franc, Cabernet Sauvignon / Blends, Italy, Merlot, Petit Verdot, RED, Sangiovese and tagged Castelnuovo Beradenga, Chianti Classico, IGT, Il Fauno, Il Fauno Di Arcanum, italia, Italy, Super Tuscan, Supertuscan. Bookmark the permalink.